We have just completed a great visual merchandising piece for Lacoste for their LT12 windows on Regent Street. 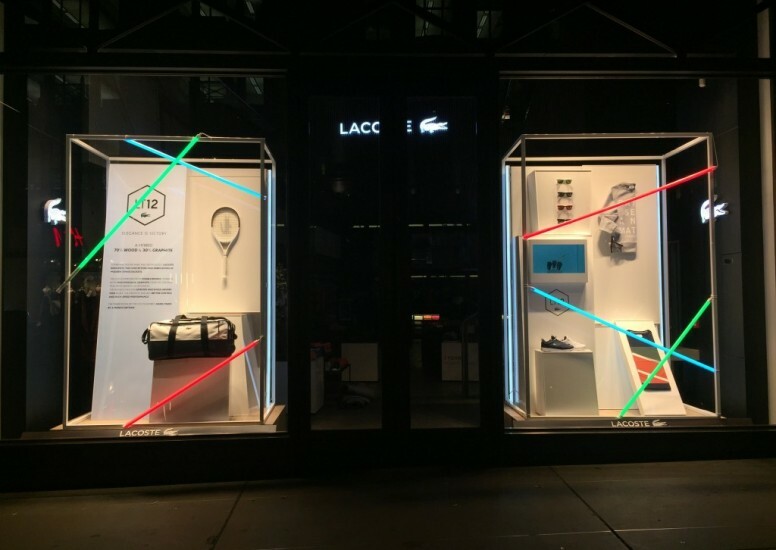 The simple kit of parts has been constructed in a dynamic way to display LT12 rackets and associated products, a complimentary graphic box , LCD screen and coloured poles which give the neon effect at night. The right hand side window display features an LCD screen box with branded tennis balls inside playing LT12 Instagram clips! We have since been commissioned to look at the next themed window at the same location so watch this space!